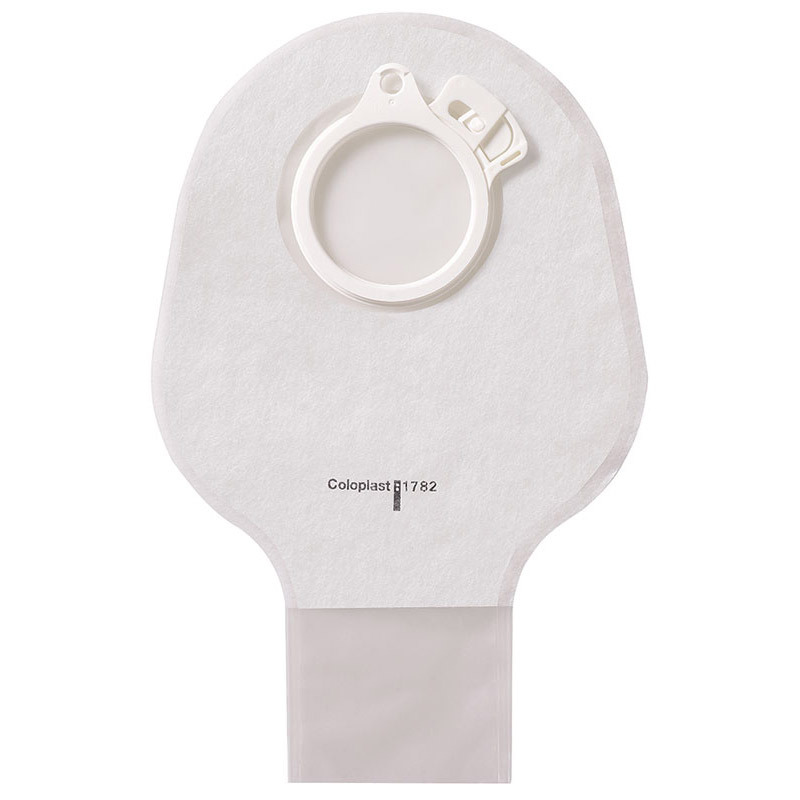 Applicator For Skin Barriers Up To 2"
Quick Dry Pouch Cover, Fits Flange Opening of 3/4" to 2-1/4", Overall Length 9"
The Assura® Pediatric Drainable Ostomy Bag features a filter for odor control. Soft backing for comfort, with an odor-proof film. The locking system reduces pressure to abdomen. Soft front makes the bag even more discreet and comfortable. Two different adhesives layered and rolled into a spiral structure combines skin-friendliness and security. The white spiral has been optimized for absorption to maintain a normal skin condition. The brown spiral has been optimized for adhesion and offers the security needed for prolonged wear time. The Assura® pouches are made of a noise-reducing and odorproof film. The back of the pouch, resting against the skin, features a lining made of extra soft material for comfort and added protection against skin irritation. An easy-to-use, self-adhesive soft clip is supplied with the pouch. The clip is applied to the pouch outlet, whereupon the outlet is rolled upwards around the clip. The ends of the clip are then folded back to close the pouch.